Steelasophical is blessed to be invited to perform at some of the most amazing locations around the country. This wedding Ceremony, Drinks Reception and Wedding Breakfast … one of the most memorable… located inside a cave! 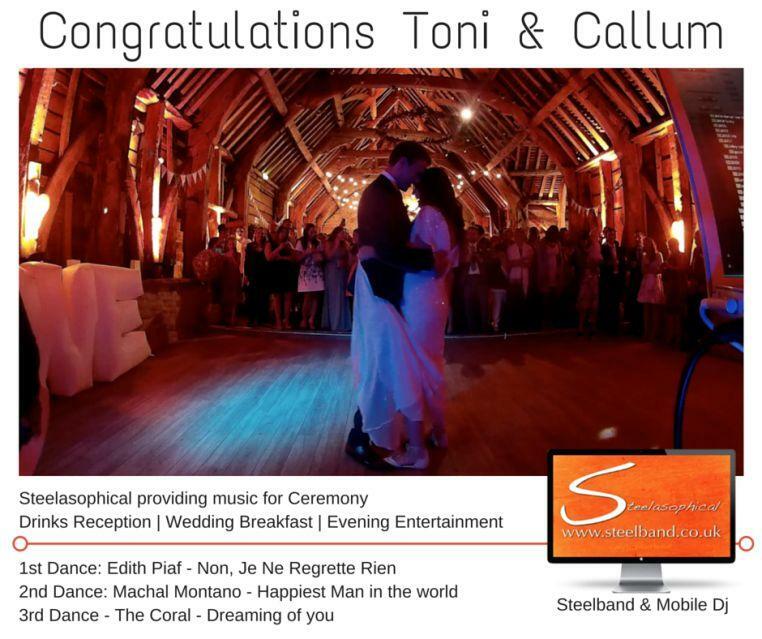 Steelasophical is a leading provider of wedding day musical entertainment based in rural Buckinghamshire and serving areas of England, Isle of Wight, Channel Islands and Northern Ireland. That said, our music travels world wide thanks to international music album sales in more than 42 countries, music sold in every major music store around the globe, can be found on iTunes, TimeLife Music, Amazon, Virgin Music and more. Further examples of our work can be found with the winning musical entertainment performance on Come dine with me; the particular episode that seems to get many reruns … and for true global notoriety, Gary Trotman has a song (requested and licensed to Sony Music) included in the James Bond 007 movie Casino Royale. Since 2008, Gary has been a full time music professional and focuses on providing music to enhance special occasions. Gary Trotman presents Steelasophical, an internationally recognised premium brand, in great demand with bookings up to 3 years in advance. After the elation of the ceremony, you will be celebrating together for the first time as a married couple with family and friends, enjoying drinks and canapés and having those all important photographs to capture the moment for ever. Lets get the Evening Guests up to celebratory speed and create that uplifting atmosphere, getting them in the mood to party with you all night long! Getting married abroad and want to have a great party night to celebrate with family and friends? 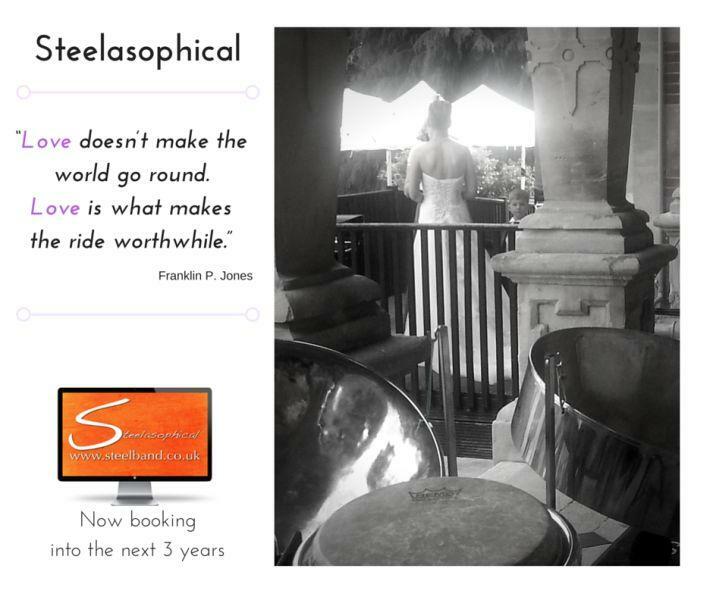 well Steelasophical is a perfect choice to help in those celebrations. 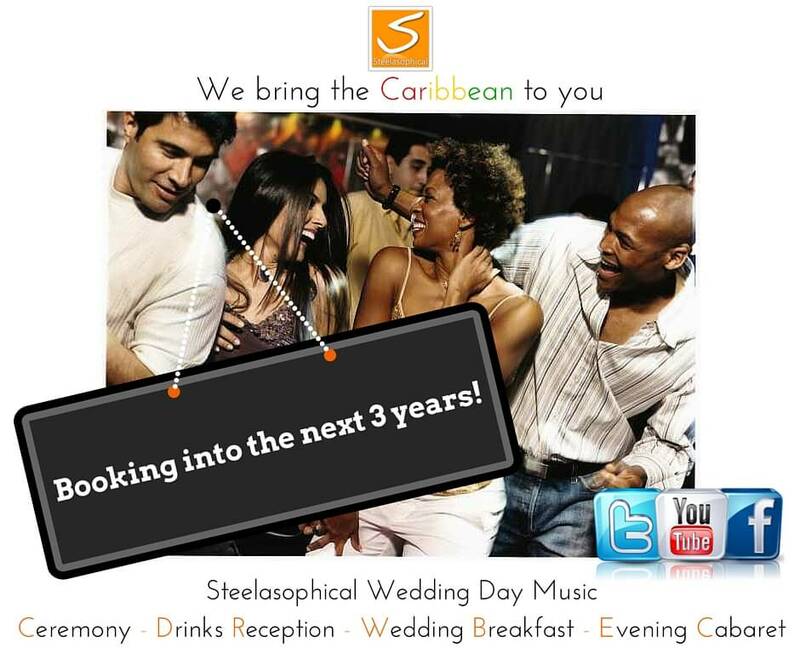 Whether you want us to provide music to welcome your guests in their meet and greet, background music for the meal, a Caribbean cabaret set to fill that dance floor and the ultimate in guests dance participation, or let us do the lot with our Steelband, vocal entertainer, limbo by design dance games and venue transformational lighting!! we are here to help. We will provide you with a great sounding PA system and a cable for you to plug in your music player .. you become your own DJ for the night. We will also provide you with a microphone for those all important speeches and announcements. Steelasophical is not the right fit for you. 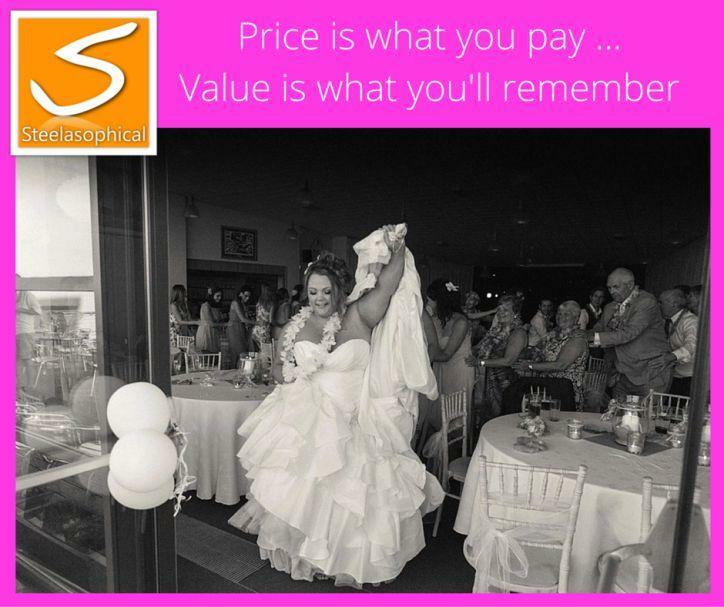 Brides see our value and consider us an essential investment in their day, rather than a nice to have expense. Our exceptional entertainment services will make your day uplifting, unforgettable, fun, relaxing and amazingly successful. 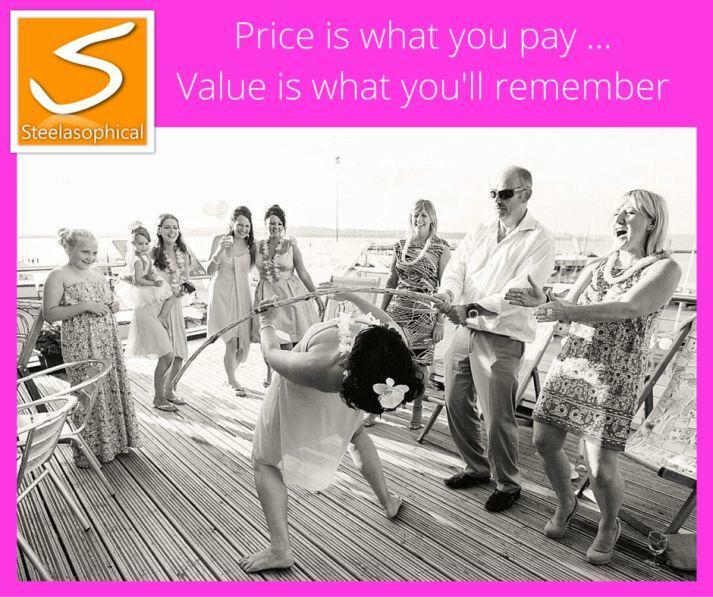 If we both agree that Steelasophical have not made a positive and transforming difference to your wedding, I will refund you money – Guaranteed. Your day is our priority and punctuality is very important to us. As such we look to arrive in very good time allowing for any unforeseen hold ups en-route. We also want to be flexible enough to start immediately if the wedding party do arrive earlier than planned. To that end, more times than not, although we stipulate arrival no later than 1 hour prior to start we will in reality often arrive at least 1.5 to 2 hours prior at no extra charge to you! – By the time you get back to us, we may no longer be available! so as such, we would invite you to view our RECOMMENDATIONS page on our website for some alternative options. Thank you for considering Steelasophical. With or without us we want to wish you the very best with your wedding planning and wish you the best wedding day in every possible way.